The Purestream Sigma low speed surface mechanical aerator is the result of years of development and refinement from hundreds of successful installations. 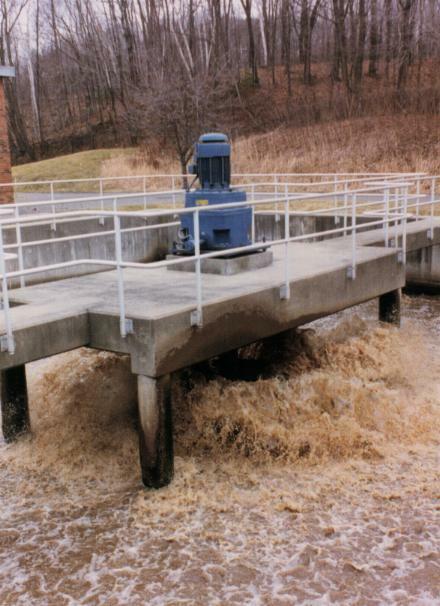 The Sigma aerator offers the user unsurpassed durable construction, flexible design and maximum efficiency for wastewater treatment. These features make the Sigma Aerator the most cost-efficient aerator available. The Sigma aerator is adaptable for use in a variety of applications. It can be used in a fixed mount or a floating aerator configuration. As a result of extensive design and application experience, these aerators are capable of transferring the maximum quantity of oxygen ( up to 3.8 pounds of oxygenation capacity/Brake Horsepower/Hour ) with the least amount of horsepower. 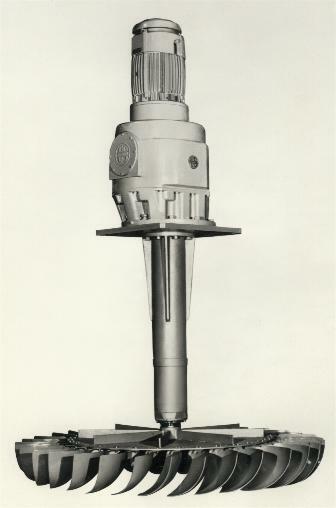 The Sigma aerator represents almost 100 years of design, engineering and application service to the customer. Purestream Sigma aerators are used extensively in the treatment of municipal wastes, pulp and paper, food processing, textile, petrochemical and other industrial wastewaters.